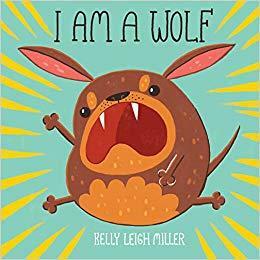 Kelly Leigh Miller is an illustrator and author. She lives in Chicago, IL with Frankie, her lovable bad-dog-turned-good, the inspiration for I am a Wolf. She is represented by Thao Le of Sandra Dijkstra Literary Agency. Kelly grew up in Lousiville, KY before moving to Chicago, and enjoys reading, crocheting, watching scary movies, and doodling in her sketchbook.